What is Dell XPS and How Does it Work? How Does Dell’s XPS Compare with Lenovo’s Yoga 910 and HP’s Spectre X360? Are you shopping for a performance laptop? If so, you can be easily overwhelmed by the large number of options available in the market. But with the right head start, you won’t have to skim through the sheer number of material on the various types of laptops being sold out there. One of the best performance laptops available today is Dell’s XPS line. These range of laptops are designed and built to match the needs of virtually every laptop user, from basic users to heavy users. This is a range of performance laptops and 2-in-1’s made by Dell. They are ultra-thin and lightweight yet powerful enough to accomplish everyday tasks fast and efficiently, saving you time and effort. Dell XPS convertibles come equipped with a solid, innovative flip-hinge that allows you to easily switch between two main modes – tablet mode and laptop mode. To use the computer as a laptop, you’ll need to adjust the display and keyboard to your desired viewing angle. To switch to tablet mode, simply flip the display 180 degrees so that it touches the back of your keyboard. Switching between the different work modes is that easy. The Dell XPS is a line-up of laptops and convertibles from Dell. 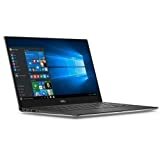 To provide you with useful insight on these computer devices, it is important to narrow down the focus of this XPS review to a few technical specifications that matter the most. One of the most important things to consider before investing in a new laptop is how powerful it is. A powerful laptop will ensure everyday tasks are accomplished on time or with minimal delay. Dell’s XPS range runs on Intel Core processors. These processors ensure that laptop users enjoy fast and reliable performance when using their devices for work or play. Keep in mind that the power delivered by Dell XPS laptops varies from model to model. For example, the new XPS 15 convertible, which comes packed with the first-ever quad-core eight-gen Intel Core i5-8305G processor, is more powerful than the XPS 13 2-in-1 that runs a seventh-gen Intel Core i5 processor. Laptops comprising the Dell XPS range come equipped with either a Windows 10 Home or Ubuntu Linus OS. Both types of operating systems deliver different features and benefits, and have unique limitations. If you don’t want to be plagued by compatibility issues, a Windows 10 machine is the obvious choice, as Windows OSes are by far the most widely used OS universally. But if your specific job requires that you use an Ubuntu Linux OS, and you are well-versed with it, you can get an XPS laptop that runs the Linux software. As other performance laptops and convertibles in their consumer-grade category, the XPS range comes paired with different GB’s of RAM. You can get an XPS machine with 8GB, 16GB or 32GB OF RAM, depending on your particular device memory needs. With the right memory, your computer should keep running fast and efficiently. Built-in storage tends to increase with an increase in RAM. For instance, the Dell XPS (2015) comes with 8GB of RAM and 256GB SSD, whereas Dell XPS paired with 16GB of RAM offers 512GB SSD. Hard disk sizes are upgradeable up to 1TB or more. So, it is important that you assess your storage needs before making your pick. No matter how well a computer device has been designed and built, it isn’t of any use when it runs out of power. That is why getting a laptop or convertible that can deliver long battery hours is crucial. Dell had this in mind when they made the batteries used on their XPS machines. Laptop battery tests conducted on various XPS models revealed that Dell’s XPS range delivers at least 9 hours on average when used to search the web non-stop. This makes the laptops a great choice for PC users who need to work or play while they are constantly on the go. Dell’s XPS laptops and 2-in-1s are available in two display sizes – 13.3 inches and 15.6 inches. All 13-inch XPS devices fall under the XPS 13 range, whereas their 15-inch counterparts belong to the XPS 15 line-up. Each display comes with either a full HD or 4k ultra HD screen resolution that delivers incredible color for work and video streaming. Displays with 4k screen res screen generally cost more than those with 1080p screens, but they are a worthy buy because they deliver superior image clarity. The all-important display characteristic that you need to consider is the pixel density, which is measured as the number of pixels per inch (ppi). The greater the number, the greater the level of clarity you will experience when staring at your screen. The XPS range feature keyboards for laptops and keyboard-touchpad combos for 2-in-1s. When in laptop mode, users operate their XPS device by pressing the buttons on their keyboards. When switched to tablet mode, device users simply need to tap on the touchpad to perform various functions. What is the price range of the Dell XPS line-up of laptops and convertibles? Prices vary from device to device and seller to seller. The price of XPS products ranges between $899.99 and $1,019.00. There are multiple sellers of the Dell XPS laptops and 2-in-1s across the world. You can check the price and availability of the XPS product on you want on Amazon, Best Buy or Walmart. In order to make this review accurate and detailed enough, it is important to compare the XPS with other laptops within its price range and user category. Keep on reading below to learn about how the XPS compared with Lenovo’s Yoga 910 and HP’s Spectre X360. Lenovo is one of the leading manufacturers of performance laptops and 2-in-1s worldwide, and they are giving Dell’s XPS range serious competition with their Yoga 910 selection. The Lenovo Yoga 910 has a 13.9-inch display, which comes with a full HD or ultra HD screen resolution. This means that users can watch full HD or ultra HD content, as long as they get a compatible computer device. The XPS range, on the other hand, also delivers 1080p and 4k display. But the difference in display size can impact the overall quality of text and images that appear on your screen when comparing models with the same screen resolution. The XPS 13 range can deliver slightly increased display quality because it has more horizontal and vertical lines per square inch compared to Yoga 910s with equal screen resolutions. The XPS 13 selection, on the other hand, may deliver slightly reduced picture clarity because it has less pixel density than a Yoga 910 with an equal screen resolution. The bottom of line is that Dell’s XPS gives laptop buyers the freedom to choose which display suits them best, while the Yoga 910 limits them to a 13.9-inch screen. And, retailing at a starting price of $799.99, the XPS range appeals to more price-savvy laptop buyers. HP’s Spectre X360 is another laptop range that deserves to be mentioned in the same sentence as Dell’s XPS. The Spectre X360 run Windows 10 Home OS. Like the Dell XPS, the HP Spectre X360 series offer laptop users a choice between a 13.3-inch and 15.6-inch display. When it comes to performance, the XPS range is on an almost equal level with the Spectre X360. Intel’s Core i-series processors, which are used on both series, deliver solid performance. When comparing the exact performance parameters, the XPS range is slightly better than the Spectre X360. Both have pretty user-friendly keyboards so you can easily operate your laptop. One area where the XPS beats the Spectre X360 is when it comes to battery performance. Dell XPS machines generally tend to deliver an extra one hour if battery life on a single charge. Overall, both laptops are a great option. They deliver compact performance and are beautifully designed. Opt for the XPS if you need to constantly use your laptop in the go. But if portability is the number one priority for you, consider buying the Spectre X360. The XPS delivers a wide range of benefits to its users, but it is not without its shortcomings. Keep reading on below to find out some of the noteworthy advantages and disadvantages of this lineup of laptops from Dell. As a laptop user, one of your first priorities should be to get a machine that will get the job done without resulting in unnecessary downtime.Dell’s XPS range is the perfect choice for anyone looking for a performance laptop on a budget. The Intel Core i-series processors that these laptops run are proven performance boosters. If you are looking for a laptop that looks enviable, you should see just how good Dell’s XPS machines look. These laptops are not just powerful but also designed to impress. The XPS is the perfect blend of functionality and aesthetics. The XPS introduces you to the world of HD resolution. HD resolutions mean improved text and picture quality. Whether you intend to use your laptop for work, play, or both, you’ll love the beautiful, crisp and refined colors on your screen. Dell XPS laptops can stay turned on up to 10 hours without requiring a recharge. This makes them a great option for those who need to use a personal computer on the move. While the XPS laptops may not be the lightest in the consumer market, they are still pretty lightweight and can be lugged between meetings or classes without much trouble. The XPS range runs Microsoft’s Windows 10 Home OS. This opens the doors for you to enjoy using some of the latest and exciting features that the OS has to offer, including a personal digital assistant called Cortana, Windows Hello, Edge browser, Start menu, Xbox streaming and many more. Unlike some other comparable laptops, Dell XPS laptops don’t run too hot or too loud. This significantly boosts user experience. ​One of the most noticeable things about the XPS is the front camera placement. Instead of conveniently being placed at the top of the display, it has been installed at the bottom part of the display, which makes camera operation quite a hassle. When used in rooms with optimal light conditions, XPS laptops deliver remarkable display quality. However, in bright places, increasing the brightness of the screen to the maximum possible level may not help improve image clarity as much. With that said, Dell should consider the prospect of increasing the maximum brightness of the display by at least 20 percent. With all its shortcomings, the XPS range has terrific laptops that deliver well-rounded performance for regular users, but they are not designed to serve heavy graphics users, like photographers and video editors, equally well. If you’re considering getting a beautiful, solid performance with a long battery life, these laptops are a great buy. Rarely do you get so many amazing features bundled into one laptop these days. The best part is that you will only need to spend between $899.99 and $1,019.00. Now that sounds like a really good deal. A 4-star rating sums up the good and the bad of the XPS, or what do you think? Feel free to contribute to the discussion by providing your feedback. The XPS laptop series from Dell offer excellent performance and good battery life. However, most of the models under this product line have awkwardly placed webcams.